I hope you are enjoying your July 4th with friends and family. I am spending the day visiting with family in Missouri. The kids love to come to Missouri for July 4th so they can set off their own fireworks. 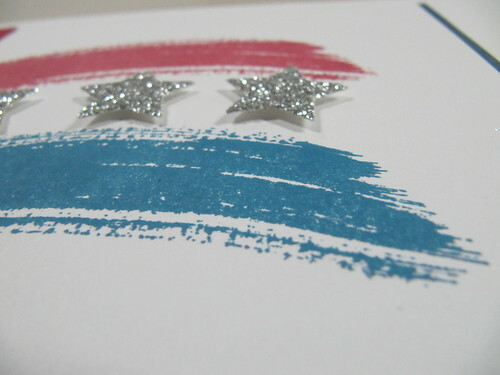 My cards today are the last of my July 4th cards I sent out. 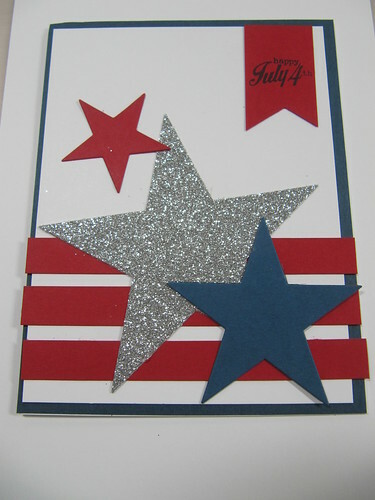 My first card uses star die cuts and the triple banner punch from Stampin' Up. My sentiment comes from Papertrey Ink Summer Jar Fillers. The second card I have to share uses the same sentiment. 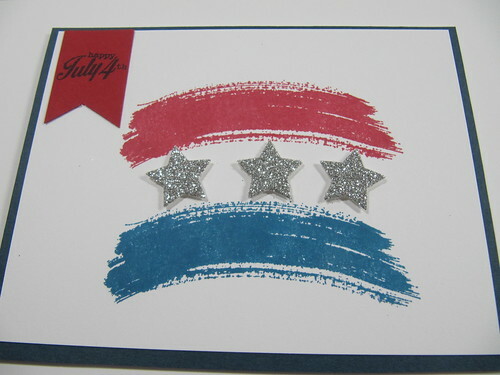 I created the red and blue stripes with one of the images from Stampin' Up Work of Art. 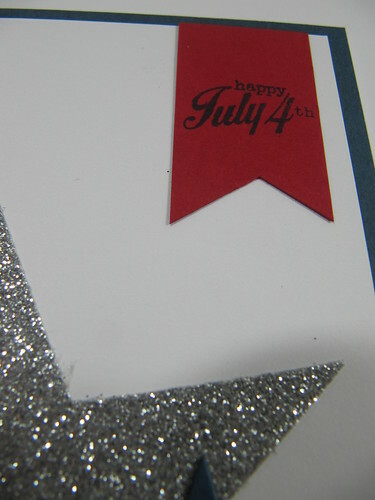 The card also has some small die cut stars in the center of the two stripes.